In ancient Chinese culture, children's clothing and accessories were more than mere adornments of the body—they were bearers of the hopes and blessings for their young wearers. These clothing and accessory items often featured motifs that sought to bestow blessings of good fortune, longevity and health upon their wearers, while others conferred protection from harm. Inspired by the natural world, history, literature and folklore, these motifs were rich in symbolic meaning, and were believed by the Chinese to create an environment protected from misfortune and disaster. By wearing clothing and accessories imbued with auspicious blessings, children thus carry these unspoken messages of love, hope and affection. Stitches of Love - Hidden Blessings in Children's Clothing And Accessories is a special exhibition co-presented by Sun Yat Sen Nanyang Memorial Hall and the Memorial Museum of Generalissimo Sun Yat Sen's mansion from Guangzhou, China. 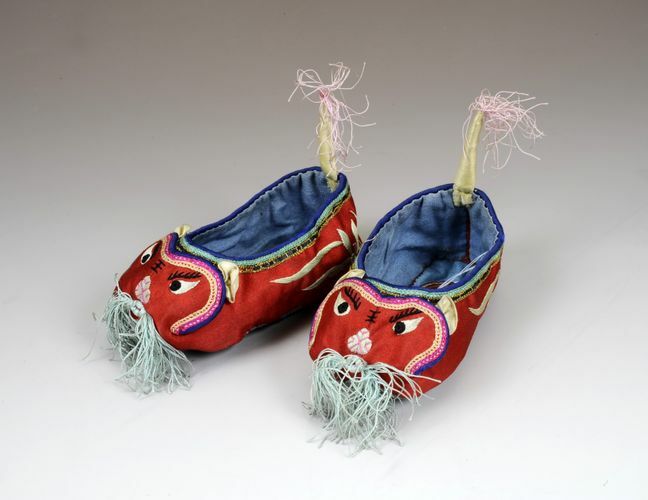 The exhibition features close to 100 clothing and accessory items from the late Qing to early Republican period, such as hats, ear muffs, bibs and shoes, in addition to archival images.